I used to write movie screenplays. Comedies, thrillers, dramas. And while it was satisfying to some degree, I had to accept the fact that it was an entirely collaborative process with the director and producers firmly in charge, while I had to be a compliant cog in the wheel. Not only that, but there was also a time-honored, industry formula with an expected story structure. Stray too far from the formula or its structure... and your innovative ideas would likely be dismissed. Fair enough. Those were the rules. I could resist them, but it was far better if I would just play along and accept them. Eventually I discovered much more freedom in writing books. I was no longer part of a large team (at least in the initial writing process). I could be innovative. I could create my own rules. I could completely write with my heart. Now I had always enjoyed reading travel books. But I sometimes found these non-fiction stories about a man or a woman climbing a mountain, or building a country home in Tuscany, or simply wandering through a foreign land... a little wanting. What they often lacked was intense drama or colorful characters or maybe higher stakes. The narrator either accomplished his or her task—or they didn't. That's it. So I wanted to combine my favorite elements of a travel book and add a more personal adventure—even if it was a fictional one. That’s when I came up with my concept for something I called a fictional travel memoir. The fun part was that I would travel to these foreign countries and then use the characters I met, the experiences I had, and the challenges I faced to create a fictional story far greater than my own private journey. However, I soon discovered that there are rules and formulas in the book industry too! When I first tried the traditional route of publishing and submitted my manuscript to several agents in town, the response was great... but ultimately inconclusive. The refrain was always the same, "So it's a fictional story set in a traditional non-fiction genre?" "Exactly!" "Yeah, well, that's going to be difficult to sell." "Why? Isn't it unique and innovative?" "Yeah, probably too innovative for us..."
Now what? Well, instead of trying to convince the establishment, I decided to learn how to self-publish my books. I did my research in the fall and by the winter I had calculated that I needed about ten months to go through all the development and business steps in bringing my first book to market. The benefits (full control, no middle men, no long wait times between writing and publishing, 100% of the profits) currently outweigh the drawbacks (no marketing help, the need & wherewithal to hire an editor, a designer, and a printer)! However, new problems arose when it came time to marketing the ebooks. No two ebook websites are identical and certainly no two ebook websites share the same categorization. So I slot them the best I can, often writing numerous emails to the website administrators to ask them to file them under both Fiction and Travel. "But we list Travel under Non-Fiction." 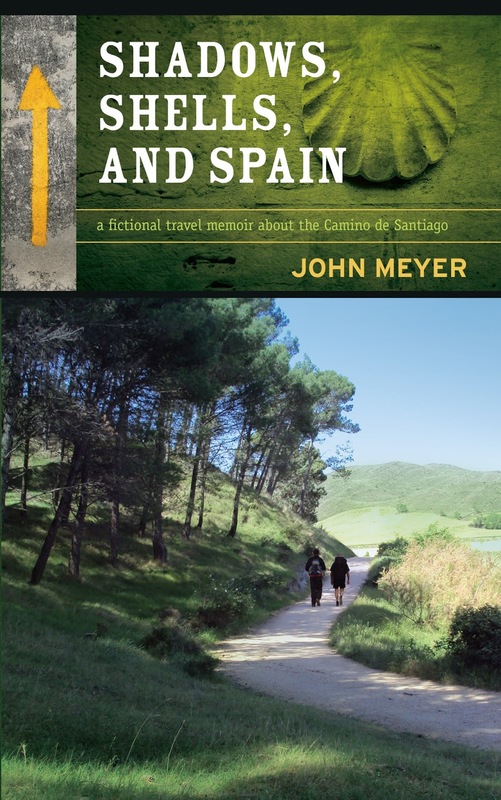 "Yes, well, they're fictional stories but also travel books loaded with authentic details about each location which is incredibly helpful to other travelers." "So we should put them in Non-Fiction?" "Yes, but, they are also fictional stories. So ultimately, I would like them filed under both sections, if possible." Some website administrators are accommodating. Some are not. So I file them the best that I can. I wonder if poets encounter the same kind of obstacles, but for now, I will say that no matter what form of writing you tackle, there will be some form of established way of presenting your ideas and stories. They exist for a reason within the industry and the audience ultimately accepts that they exist. So think outside the creative box and let your freak flag fly, if you dare. But remember... you may have to dip your toes back inside that creative box once in awhile and occasionally lower that freak flag just a little bit. Because writing... anything... still (ultimately) involves a team. (also available at Amazon.ca, Amazon.com, Kobo, Nook, Apple, and other ebook providers). To learn more about the Camino: www. 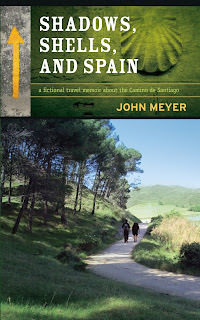 johnmeyerbooks.com/spain-camino/. 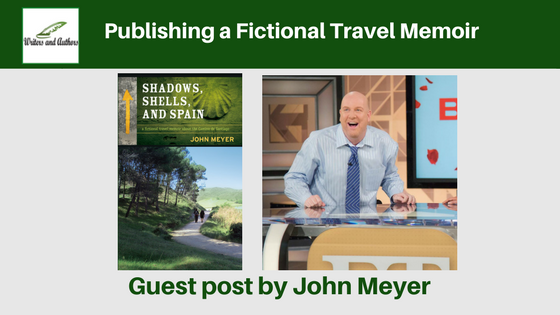 John Meyer writes fictional travel memoirs—unique adventure stories that combine fun facts of history with present-day drama and humor—always revolving around a fictitious love story and always based on his own thrilling journeys. His previous publication, Bullets, Butterflies, and Italy, was selected as a November Best Book by Chatelaine magazine. Meyer is also the studio writer for Entertainment Tonight Canada and has been ever since the popular daily show launched back in 2005. Start training in the spring, you'll be good to go by June! 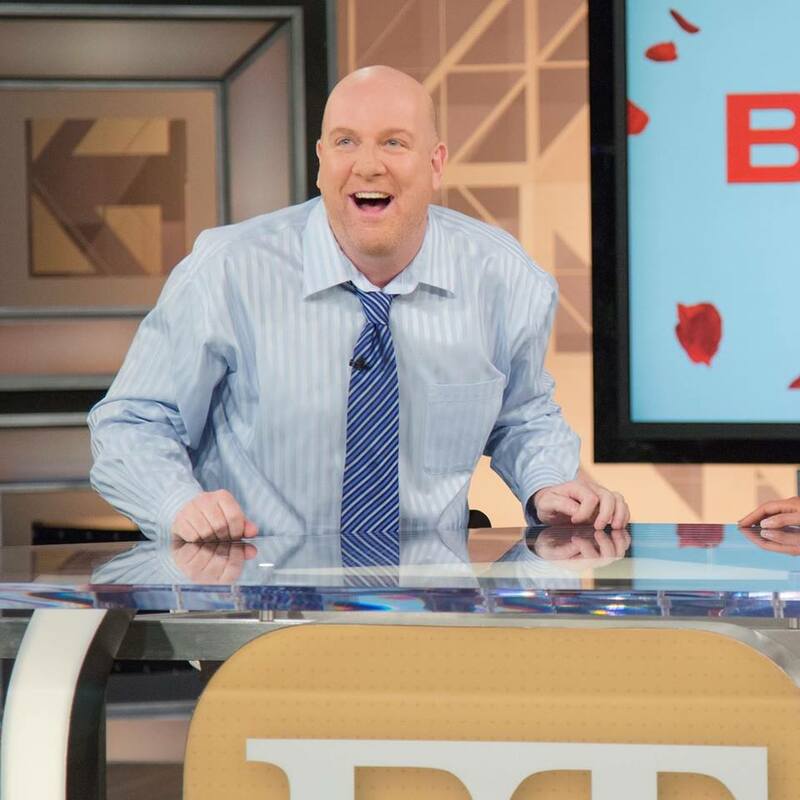 Thanks everybody - and thanks for hosting me today! I really enjoyed reading the guest post, thank you!